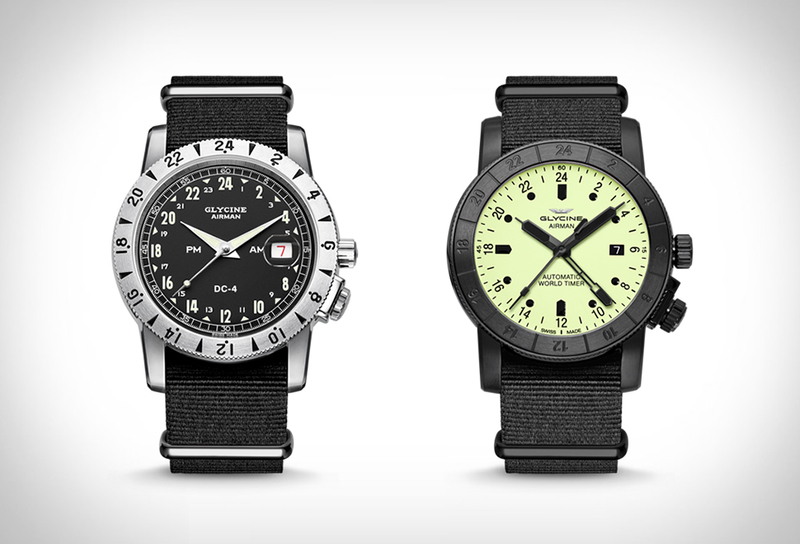 Glycine is a Swiss wristwatch manufacturer, they became a noteworthy watch maker in the early 1950s for the introduction of their Airman model, a 24-hour watch favored by both military and commercial pilots, but also frequent travelers, thanks to the introduction of multiple time-zone watches to the market back in 1953. Now, in addition to regular local time, world time was available at a glance. The impressive and distinctive Airman line has never been absent from the Glycine collection, and is, today more than ever, the spearhead of the range.